Sindh Public Service Commission Recruitment 2018: The manual applications are invited for the posts in the Public Health Engineering & Rural Development Department & Irrigation Department (Assistant Engineer, Assistant Executive Engineer) to be filled through competitive examination. So, the interested aspirants can apply for the SPSC Recruitment 2018 Notification with the help of this page. All the candidates need to apply for the recruitment on or before 15th October 2018. The SPSC Qualification, Age Limit, Post-Wise Vacancies and more are given in the below sections of this post. Hence, the applicants need to refer to all the portions to know more information related to the Sindh Public Service Commission Application Form 2018. To get more clarification about the Sindh Public Service Commission Jobs 2018, the candidates can visit the official portal @ www.spsc.gov.pk. For the applicants who are checking for the jobs in Sindh Public Service Commission, this is the best opportunity. Thus, the aspirants can utilize this chance and apply for the Sindh Public Service Commission Recruitment 2018. We have provided all the data of the Sindh Public Service Commission Recruitment 2018 on this page. Before starting the application process, all the contenders need to check the information in a detailed manner. From this article, the competitors can get all the particulars of the Sindh Public Service Commission Jobs 2018. Therefore, the individuals need to complete the application process as soon as possible without wasting time. With the help of above table, the aspirants need to check and verify all the details related to the Sindh Public Service Commission Recruitment 2018. All the contenders can visit the official site @ www.spsc.gov.pk to know more information about the notification. B.E. (Civil) in 2nd division from the recognized university. Registered as Professional Engineer with Pakistan Engineering Council. All the applicants can refer to the official notification to know the detail regarding application fee. All the applicants need to complete the application process before the last date. The officials will not entertain any Sindh Public Service Commission Application Form 2018 which are submitted after the last date. Without any delay, the contenders need to begin the registration process. The eligible candidates are only allowed to fill the application form. Thus, the hopefuls need to check all the details before starting the application process. And, the aspirants need to wait for few more days to know the date of the examination. The management of the SPSC has not yet declared the dates of the test. Head Office of Sindh Public Service Commission, Thandi Sarak, Hyderabad or any of the Regional Offices of the Sindh Public Service Commission on or before the closing date up to 05:00 p.m.
Hope, the provided information about the Sindh Public Service Commission Recruitment 2018 is useful to all the contenders. 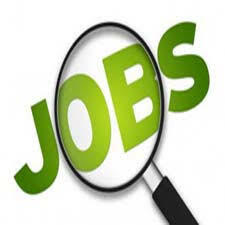 Visit Sarkari Recruitment frequently to know more latest updates.